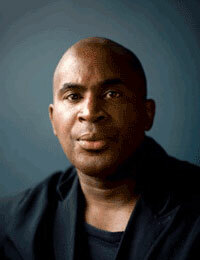 Dr Robert Beckford is one of the UK’s leading black theologians. 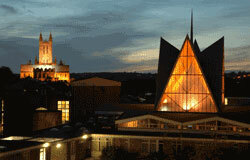 His present role as reader at Canterbury Christ Church University involves teaching students modules in Theology and Popular Culture, Theology and Politics and Contemporary Christology as part of their undergraduate theology degree. An important focus for Robert’s own research is about the connections between religious experience, cultural expression and political action. Robert’s teaching extends well beyond the traditional classroom – he has taught in prisons and care homes and also mentors young people. Robert talked to jobs.ac.uk about his diverse and interesting role. Robert grew up in the Pentecostal Church in Britain, remains an active member of this denomination and is passionate about how to engage young black people in society and politics. During his formative years he was struck by failure of the Pentecostal church to deliver social justice and he wasn’t prepared to accept this uncritically. “The Pentecostal Church’s origins in American evangelism and Caribbean colonial Christianity resulted in an anti-rationalist hegemony – a form of anti-intellectualism, which is something I wanted to change." Robert spends around 40-50 hours each week working at Canterbury Christ Church University, including seminar and lecture preparation, teaching and research. He also supervises PhD students in areas such as ‘The Spirituality of Reggae Dance Hall Dance Moves,” “Contemporary Black Urban Politics” and “The Theology of Grime”. “The PhD students I work with very much represent the work I am interested in – notably how people can find religious meaning in an urban popular culture. But for me, teaching is the high point of the week and is the cornerstone of what it means to be an academic. My teaching is all about dialogue and challenge and is never just an exchange of ideas. During my first degree at Houghton College in New York, a Christian Liberal Arts College, I quickly became familiar with their interdisciplinary approach, which has remained with me ever since. For example I became involved in prison education, something I returned to later on. Education was seen as radical action, and the classroom was the world. I was also exposed to black political theology, feminist theology and liberation theology from Latin America. Robert has been very successful in combining his academic work with his media career, although admits it can be hard to fit everything in. Finding the necessary time to continue with research projects is important. Whilst working at Birmingham University Robert was involved in a research project in the city’s prison, which involved teaching ethics to offenders. “We used films, classic prison films such as the ‘Shawshank Redemption’ and ‘American History X’ to form discussions about offending. The project was successful, and we received lots of positive feedback from the inmates. Being involved in teaching which extends beyond traditional academic boundaries has always been important for me. I am always looking for ways in which different contexts for exploring and challenging ideas can be expressed. Working within the Pentecostal tradition brings resistance at times, but I wouldn’t be doing my job properly if this wasn’t the case. The day I get no opposition is the day I retire. Lastly, Robert feels that his experience studying in North America gave him the opportunity to resist discriminatory practice in higher education back in the UK. After A taking levels in the UK Dr Robert Beckford was awarded a scholarship to study religion and sociology at Houghton College, New York. He then returned to the UK to study theology at the London School of Theology. He then embarked upon his PhD (a comparison of the politics of black Pentecostalism and Rastafari), whilst working part-time at Queen’s College Birmingham, as Britain’s first tutor in Black Theology. In 1999 Robert became a Research Fellow at Birmingham University, and was later a lecturer in African Diasporan Religions and Cultures. He then moved to Oxford Brooks University, to become a Reader in Black Theology and Popular Culture, and was also visiting Professor of Sociology at Goldsmith’s, University of London. Robert has presented a wide range of documentaries on theology since 1999, for Channel 4 and BBC radio and TV, including ‘God is Black’ (2004) and ‘The Secret Family of Jesus.’(2006). He has also recently collaborated with Kwame Kwe-Armah on an urban TV drama.